Microsoft has just released preliminary information regarding their Surface tablet which is supposed to be “Windows 8 having its own hardware device” as pointed by Steve Ballmer in the recent Microsoft’s announcement. Two different variations of Microsoft Surface Tablets namely Windows RT and Windows 8 Pro based on the OS have submerged. However, no information regarding the prices and release dates is made yet. In this article, we compare this must shared Surface tablet with iPad and Galaxy Tab. Here we compare the latest Microsoft Surface Tablets with most loved Apple iPad and Android powered geeky Samsung Galaxy Tab. Samsung Galaxy Tab 2 10.1 and Apple New iPad aka iPad 3 are taken for comparison with Microsoft’s lately announced Windows 8 based fully touch-screen and smart-magnetic keyboard. 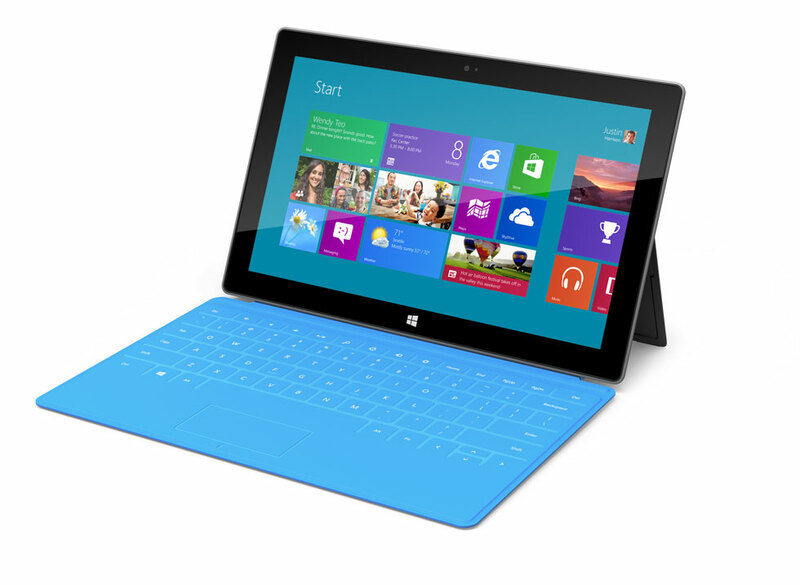 Microsoft Surface is the thinnest tablet having 9.3 mm thickness as opposed to 9.4 mm iPad. Most exciting thing about Surface tablet is that it comes preinstalled with Microsoft Office Home and Student 2013 RT, the new version of Microsoft Office. Windows RT is Windows 8 version in ARM devices, whereas Windows 8 Pro is Windows 8 on Intel (Core i5 Ivy Bridge). This is going to be the war of the tablets with Microsoft’s Surface, maybe Microsoft will benefit from existing customers of Windows, the largest OS being used. – what do you think? Here is a Microsoft Surface Windows 8 Tablet : Keynote from Steve Ballmer. For the surgery of this Microsoft’s Surface tablet keynote presentation, read this blog post by Ethos3.com. BTW, did you checked the head to head comparison of 5 best smart phones of today?